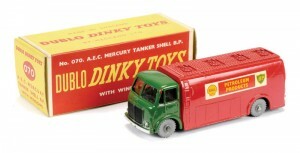 In November 1958, Meccano Ltd introduced the Dublo Dinky range of models to run alongside its popular Dinky Toys range. 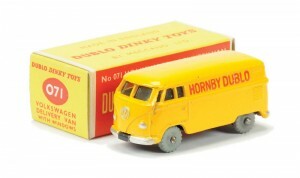 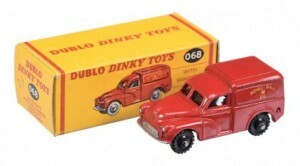 The Dublo series of vehicles was produced in 1:76 / OO scale and was initially designed to be used in line with the Hornby railway system but was also aimed to compete directly in the small-scale toy car market which at that time was dominated by Lesney’s Matchbox. 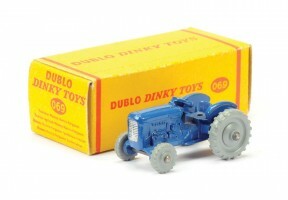 The Dublo range was relatively cheap to produce having a one-piece die-cast metal body with a simple metal base plate and either smooth or treaded plastic wheels. 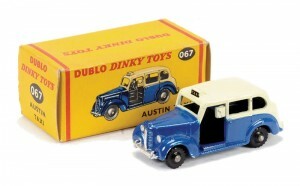 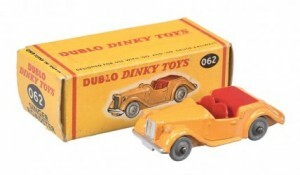 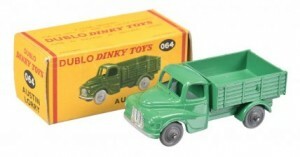 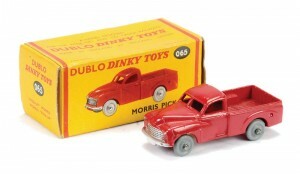 The Dinky Dublo range consisted of just 15 basic models although with upgrades and modifications that figure would increase to something like 42 variations. 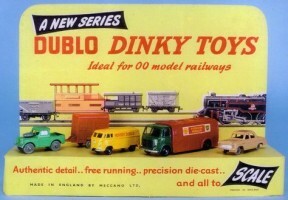 There were no colour changes throughout the short life of Dublo and all models came boxed. 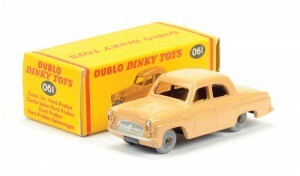 The Dublo range met with only limited success so much so that the first model was withdrawn in October 1960 having only been on sale for just 18 months ! 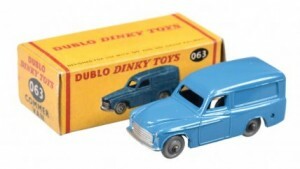 The writing was on the wall as yet further models were withdrawn over the following three years until finally in November 1963 those models that still remained in the range were also discontinued, a mere six years after the Dinky Dublo line was introduced. 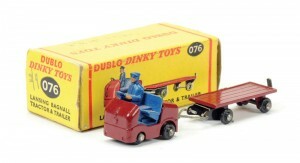 Thus ended the production of Dublo Dinky Toys under Meccano who themselves went into receivership some two years later.